Manual swing gates provide an ideal solution for the prevention of access for high vehicles to unauthorised areas such as staff car parks or underground low level car parks. 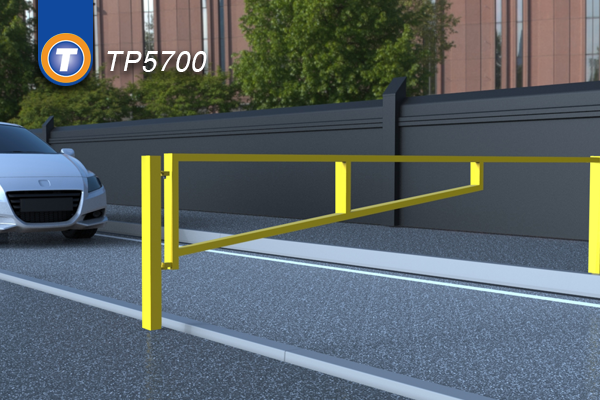 The TP5600 Height Restrictor Barrier is constructed from high quality steel rectangular box section. It provides an ideal solution for the prevention of access for high vehicles to unauthorised areas such as staff car parks or underground low level car parks. It is a durable and reliable restriction barrier, available as single or double leaf, either standard or heavy duty box section. Clear signage allows vehicle occupants the opportunity to determine whether they have sufficient clearance to proceed under the cross beam in order to access. The opening variants can be locked in either open or closed position via an additional latch post and a padlock respectively. 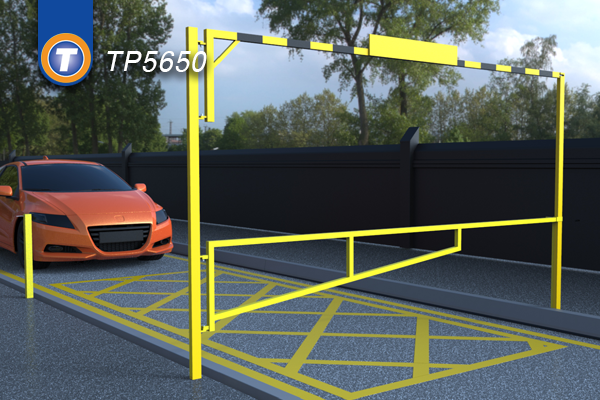 The TP5650 combined height restriction barrier is constructed from a high quality steel rectangular box section. It provides an ideal solution for the prevention of access for high vehicles to unauthorised areas, such as staff car parks or underground low level car parks. It is a durable and reliable restriction barrier available as single or double leaf, in either standard or heavy duty box section. Clear signage allows vehicle occupants the opportunity to determine whether they have sufficient clearances to proceed under the cross beam in order to access. The opening variants can be locked in either the open or closed position via an additional latch post or a padlock respectively. TP5650 height restrictors can be custom made to customer specification. Static versions (non-opening) are also available, for heavy duty versions & bespoke designs please contact our office. 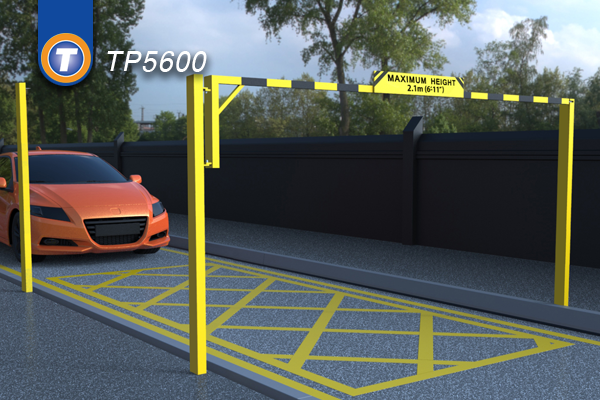 The TP5700 Swinging Gate provides an ideal low cost solutions to a wide variety of parking, road access and traffic management requirements. It is ideal for locations or situations where a fully automated barrier or gate entry system is either not necessary or cost effective. The TP5700 is available as a single or double leaf version, in either standard or heavy duty box section. Constructed from high quality steel hollow box section, the robust structure of the TP5700 means it is ideally employed in unmanned areas with low volume traffic. This durable gate can be locked in either the open or closed position via an additional latch post and padlock, providing excellent security to any area when required.